Please include an address and phone number. Letters present the opinions of the letter writers, not of the Classic or Northwestern College. They are published at the discretion of the editor and may be edited for length and clarity. You do an awesome [job] with the Classic! The excitement, smiles and activities that you photograph beautifully, along with your well-written and interesting articles, make us feel Northwestern College is quite the place. You are very talented in making the Classic come alive with [current] articles as well as the historical ones. The Classic is a great read. Keep up your wonderful work! 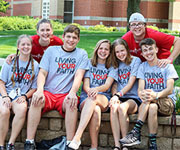 Living Faith Living Your Faith, a summer theology camp hosted by Northwestern, helps prepare high school students to be the next generation of church leaders. Raider Nation in the Real World College can be the time of your life. But it should also prepare you for the rest of it.We talked with nine 2018 graduates to see how they’re managing their new “real world” responsibilities. Special Son. Super Dad. 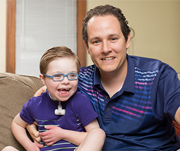 Looking for a superhero his son could relate to, Chip Reece writes the first graphic novel featuring a character with Down syndrome. Yeehaw! 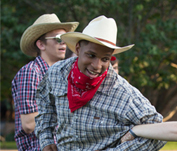 One day every fall, Raider Nation goes a little bit country when the Student Activities Council presents the Western Hoedown.